All medical insurance companies require keeping handy health care claim forms for their clients. To make it easy for such insurance companies, we have a wide range of ready to use health care claim forms. These Health Forms are available in a variety of formats, can be edited and are also ready to print friendly. Some of these templates include a health history form or a health risk assessment form for the user to fill in. 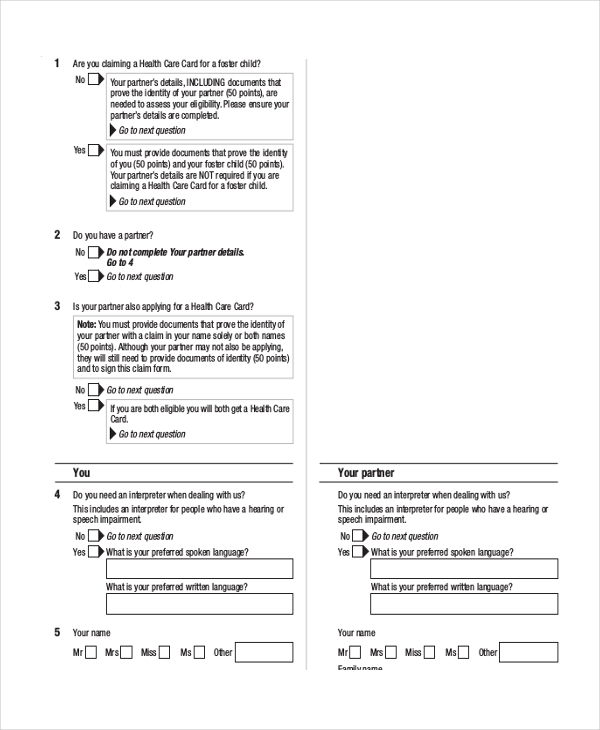 The Coventry health care form is a PDF format template. This template has space for the user to add employee details, patient details, accident information, Medicare information and other such relevant details. 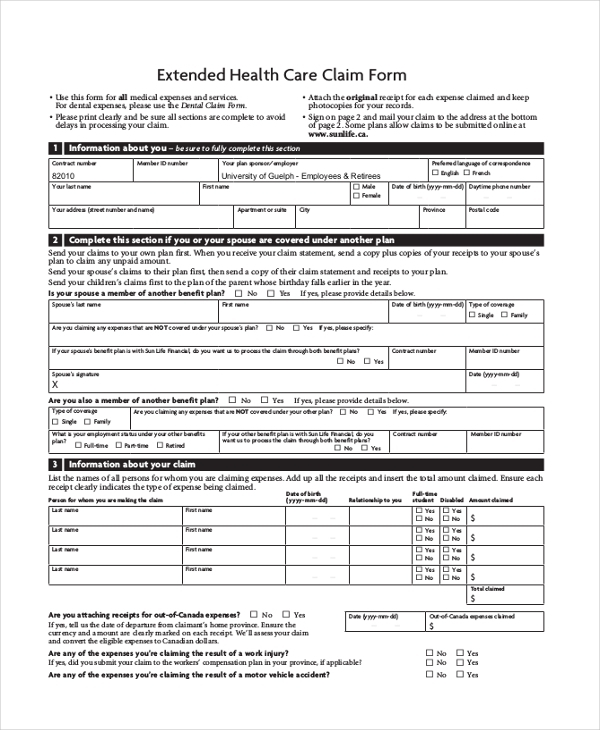 The extended health care claim form has set for the user to fill in his information, information about his spouse, any other health care plans that the couple may be covered under and other information. The form is available in PDF format. 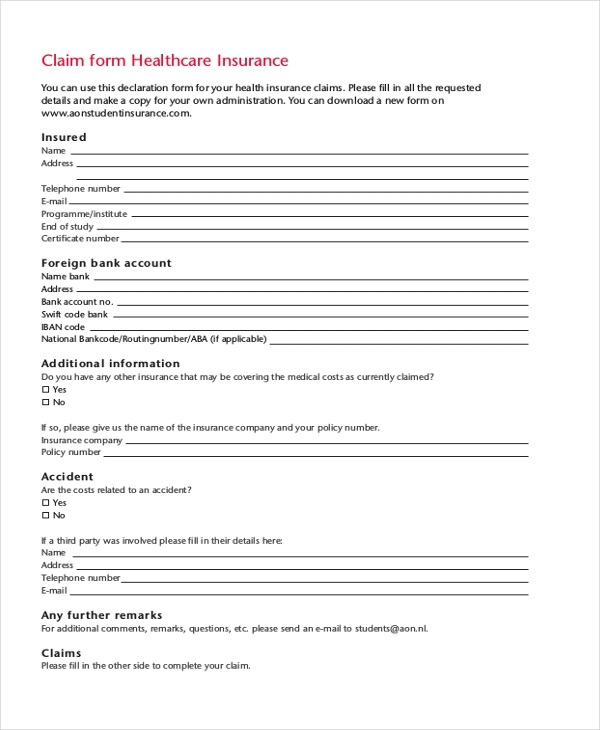 The health care insurance claim form can be used as a declaration form for health insurance claims. This form is available in PDF format. Details of the insured party, bank details, and any additional information can be added to this form. The claim for health care benefits form has space for the user to add details of the medical or paramedical expenses, drug expenses, details of the member, diagnosis, and other such important information. 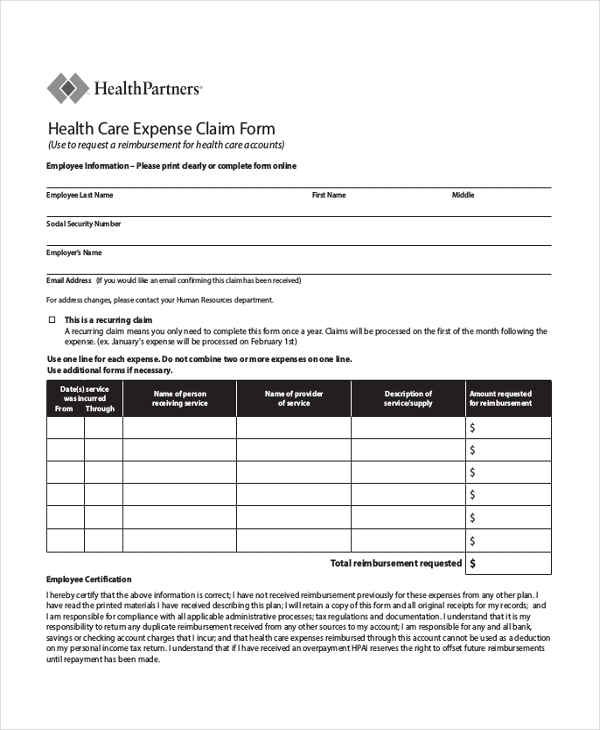 Employees in corporate organizations can use the health care expense claim form. 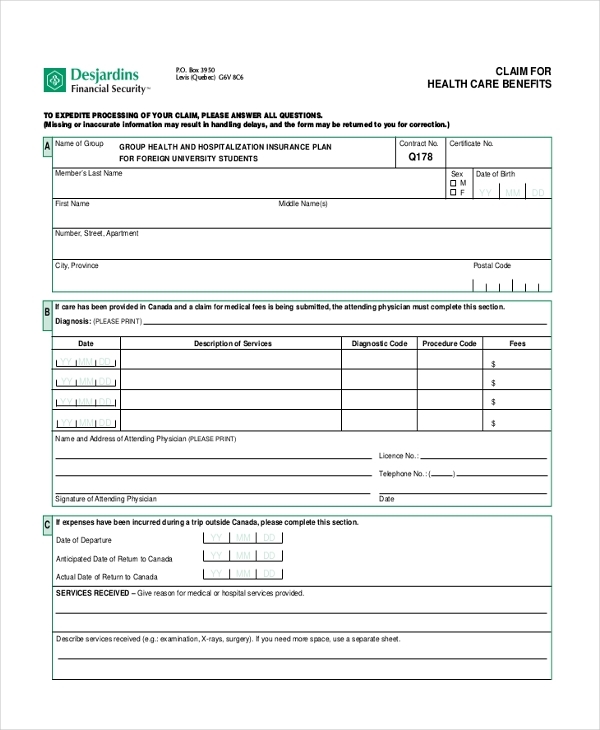 This form has space for the user to add details of the employee name, social security number, email address and details of the health services received. 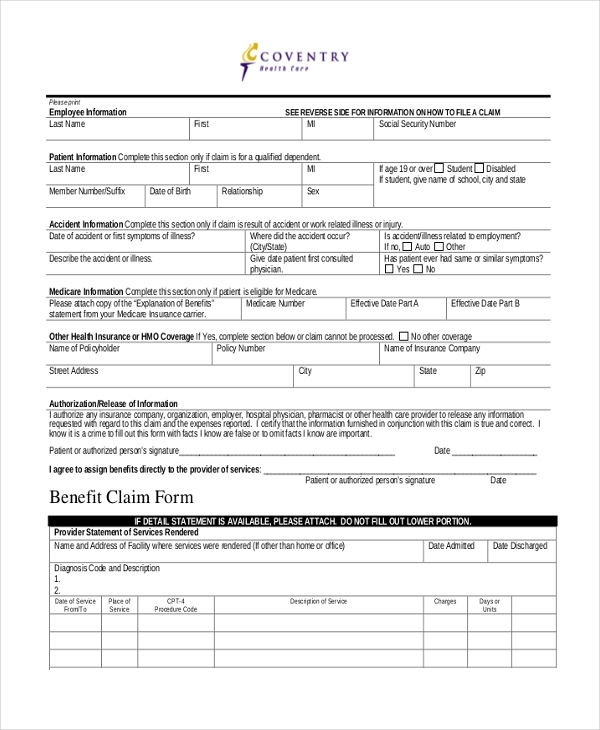 The general health care claim form is available in PDF format. Office employees who need to claim health benefits for their illnesses can use the form. The form has space for the employee details, employer details, and other relevant information. 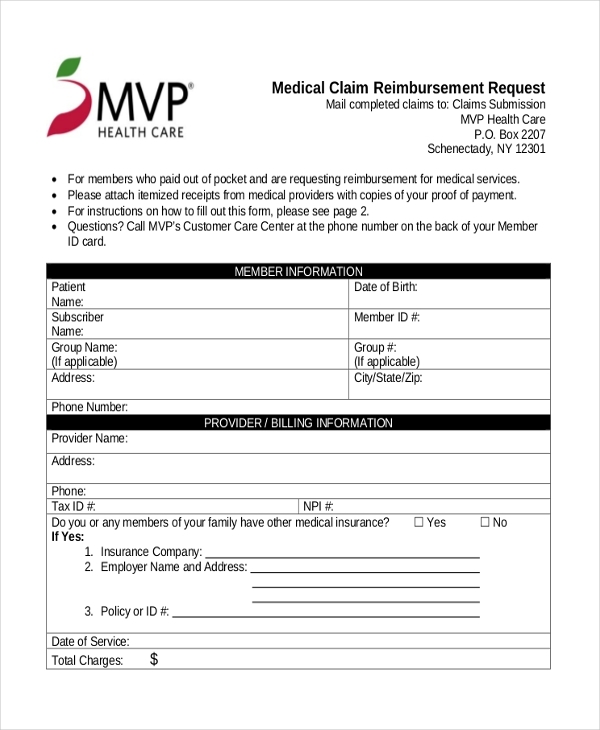 The healthcare reimbursement claim form has space for the employee to fill in details of his account number, service received information, patient details, and other such details. The form is available in PDF format. 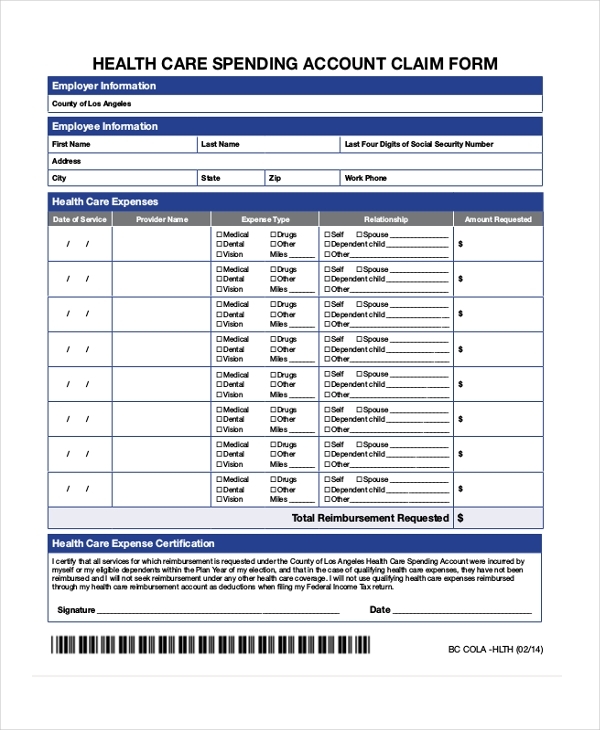 Employees of corporate and other firms can use the health care spending account claim form. 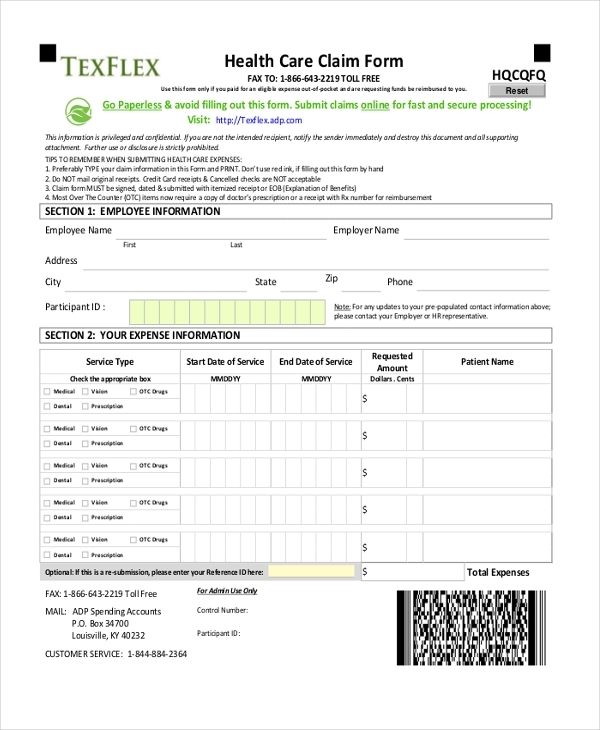 This form has space for the user to add details of the employee information, health care expenses, health care expense certification and other details. 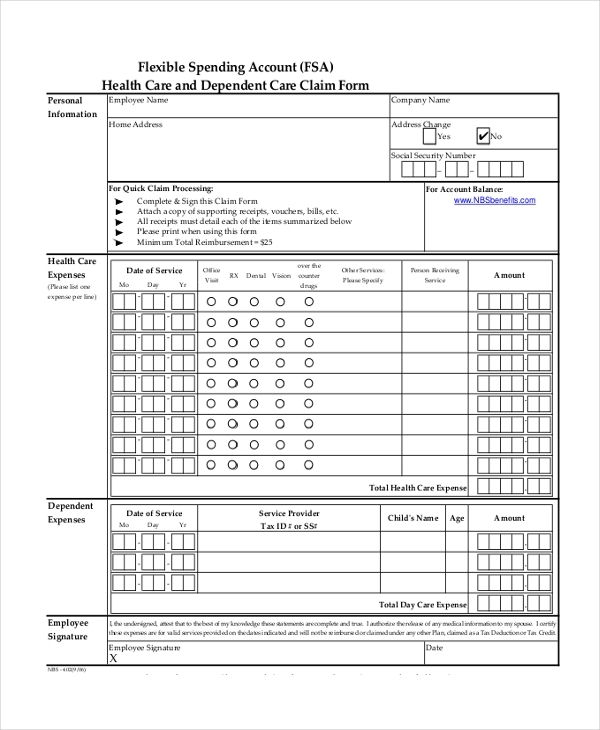 The health care medical claim form is best suited for members of health care firms. This form has space for the user to provide details of the patient, information of the health care provider and other relevant details. The health care and dependent care claim for is best suited for organizations that provide employees as well as their dependents health care benefits. The user has space to fill in details of the employee, information of his or her dependent, health care expenses and other details. What Are The Benefits Of Using The Health Care Forms? The health care forms are beneficial for numerous reasons. First and foremost these forms are absolutely free of cost and save the time of both the health care provider as well as the applicant in the process of reimbursement. Secondly, these forms are printer friendly and can be emailed too, making it convenient again for both parties. Lastly, the forms are so professionally drafted that companies and organizations of all sizes can use them. Even Medicare companies can hand over these forms to applicants to fill in the necessary information. You may also see Health Insurance Forms. Who All Can Use The Health Care Forms? Corporate organizations, Medicare companies, medical insurance providers, healthcare services providers and various others can use the health care forms. Typically, any firm, employer or company that provides health care services, or even reimburses employees for the medical services undertaken, can use these forms. 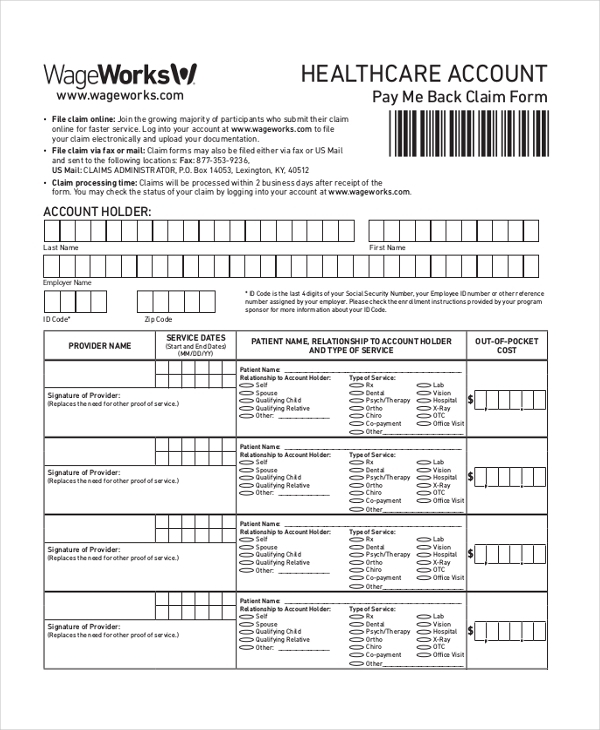 Employers, who wish to keep handy the health history of their employees or the dependents of their employees, will also find these health care benefit forms extremely useful and handy. Thus, these forms can be used by practically all kinds of organizations and employers. You can also see Health History Forms. If you’re on the hunt for a health care benefits form for your organization, you have come to the right place. Just select the one that best suits your requirement from the above-mentioned list, you can edit it and print it out or email it. These professionally drafted forms are extremely useful and handy.